Hitler's inclination was "to talk and talk and talk," aided by "the mesmeric quality" of his voice. Hitler was about to be arrested. With a quick motion, he picked up his revolver from the cabinet. She urged Hitler to dictate to her all his instructions for his followers before the police arrived. Hitler hadn't resisted when she grabbed the gun. Soon, the police with guard dogs surrounded the house. In his early days as a local agitator in Munich, Adolf Hitler was often in the company of Ernst “Putzi” Hanfstaengl, a piano-playing 1909 Harvard grad, and his wife Helen. 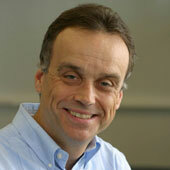 Putzi was a self-described “half American,” with a Bavarian father and Bostonian mother. His grandfather was a Civil War general and a coffin-bearer at Abraham Lincoln’s funeral. <!-strCallout1->He met Helen Niemeyer, a native New Yorker and offspring of German immigrants, when he was working in New York. After they married and had a son, the couple moved to Munich in 1921. Enthralled by Hitler’s fiery rhetoric, Putzi became the future dictator’s propagandist. But Helen ended up playing an even more significant role. From the moment they first met in 1922, Putzi noted, Hitler “was delighted with my wife, who was blonde and beautiful and American.” Hitler soon became a frequent guest in their apartment in Gentzstrasse, which they jokingly referred to as the Café Gentz. One afternoon as her son Egon ran to meet Hitler, he slipped and bumped his head against a chair. With a dramatic gesture, Hitler beat the chair, berating it for hurting “good little Egon.” Helen remembered this as “a surprise and a delight,” which prompted the boy to ask the visitor to go through the same act each time he came over. “Please, Uncle Dolf, spank the naughty chair,” Egon would plead. Helen was fascinated by Hitler’s inclination “to talk and talk and talk,” as she put it, and by “the mesmeric quality” of his voice. That fascination was in no way diminished by the main subject he focused on. “The one thing he always raved against was the Jews,” she admitted. <!-strCallout2->When Hitler was on the run after his disastrous Beer Hall Putsch in November 1923, he sought refuge in the Hanfstaengls’ country house in Uffing, about an hour from Munich. “The last place it would have occurred to me to go was my own home in Uffing, where I surely would be caught and arrested,” Putzi noted. Along with other Nazis, Putzi had immediately fled to Austria. Hitler had also wanted to escape across the border, but his car broke down. He and his companions reached the Hanfstaengls’ house after a long, difficult walk. Hitler may have suggested that destination in part because, as Putzi put it, he had developed “one of his theoretical passions” for Helen. Helen had concluded that her admirer was probably “a neuter,” but she had no doubt that he was strongly attracted to her. While Helen and Egon were having supper in the upstairs living room, a maid reported that someone was knocking softly. Helen went downstairs and, without opening the door, asked who was there. “To my utter amazement, I recognized the weak but unmistakable voice of Hitler,” she recalled. Hitler was running a temperature and was in pain from a dislocated shoulder, so the doctor and the medic eased him upstairs to a bedroom. From there, Helen heard him moaning as they tried to push his arm back into his shoulder. The next morning Hitler sent the doctor off to Munich to see if he could arrange for another car to get him to Austria. His arm was in a sling and he appeared to be in less pain, but he was pacing nervously about in a blue bathrobe, asking where the car might be. Helen’s mother-in-law called to say that the police were already in her nearby house. Suddenly, an official cut her off and took the phone, telling Helen that he and his men would be arriving at her house next. <!-strCallout3->Helen went upstairs to let Hitler know that he was about to be arrested. Standing in the hallway, he looked devastated. “Now all is lost — no use going on!” he exclaimed. Then, with a quick motion, he picked up his revolver from the cabinet. “But I was alert, grasped his arm and took the weapon away from him,” Helen recalled. Hitler hadn’t resisted when she grabbed the gun, and he sunk into a chair, burying his head in his hands. While he was still sitting like that, Helen quickly took the gun away to dispose of it, settling on a large flour bin where it easily vanished from sight as she pushed it down deep inside. Returning to Hitler, she urged him to dictate to her all his instructions for his followers before the police arrived. That way, they would know what to do while he would be in prison. “He thanked me for helping him remember his duty to his men, and then dictated the orders which were to be of such importance in carrying on the work,” she recalled. Soon, the police with guard dogs surrounded the house. Helen answered the knock at the door, and a shy young army lieutenant, accompanied by two policemen, apologetically explained that he had to search the house. Helen told them to follow her upstairs and she opened the door to the room where Hitler was standing. Startled, the three men took a step back for a moment. The Nazi leader had regained his confidence and began berating the lieutenant in a loud voice, particularly when he told him he had to arrest him for high treason. <!-strCallout4->There was no use arguing, however, and even Hitler realized that. Refusing Helen’s offers of Putzi’s clothes to shield him from the cold, he was still dressed in the blue bath robe, with his own coat draped over his shoulders, as the men led him down the stairs. Then he shook hands with Helen and the maids before going out the door. Helen caught a last glance of his face when he was seated in the police car. It was “deathly pale,” she remembered. Most of the press coverage that followed quickly wrote off Hitler and the Nazis. The Beer Hall Putsch had been laughably amateurish, and now all that awaited the arrested leaders was a trial and certain convictions. Few people realized then that the trial and even imprisonment would serve Hitler surprisingly well. And only a few insiders knew then that it was a young American woman, the wife of one of his earliest followers, who may have prevented him from taking his own life — an act that would have delivered humanity from the devastating consequences of his political resurrection later. 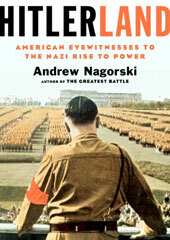 Editor’s note: This article is adapted from Hitlerland: American Eyewitnesses to the Nazi Rise to Power (Simon & Schuster) by Andrew Nagorski. Published with permission of the author. Copyright © 2012 by Andrew Nagorski.